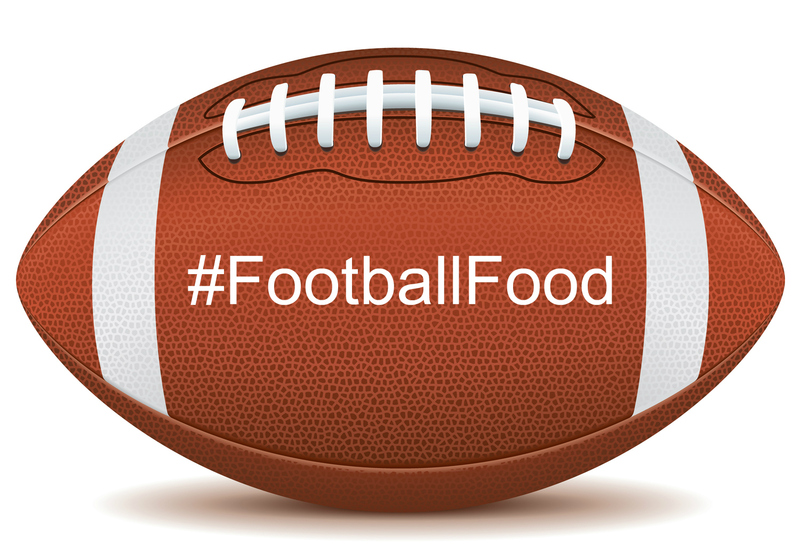 We're big football fans here, and we're even bigger fans of football food! Ever since my son was little, we've always had special game day meals. Nachos are a staple, and so are mini corn dog muffins. This year I decided I wanted chili, and I've been testing out a few recipes. 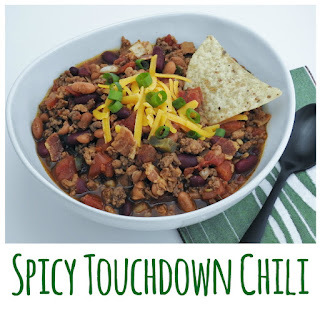 This Spicy Touchdown Chili caught my eye because in addition to the usual ingredients, it also has bacon! I made a few changes to the recipe. I used hot Italian turkey sausage instead of pork. For all of the beans, I bought reduced sodium versions. Instead of the beer, I used beef broth. Because I couldn't find the diced tomatoes with onions, I upped the fresh onion to a medium sized one. I love this one because you can make it early in the day, pop it in the slow cooker and not have to miss any of the game. While it's great by itself, it also would make awesome nachos, or poured on top of a baked potato or a nice grilled hot dog. I was very happy with the heat level, but you can easily dial it up or down. My husband took a test batch to a work potluck and it was gone in less than 30 mins. Thank you so much to Chris N. for sharing his amazing recipe. Be sure to go and check out what #footballfood the other #FestiveFoodies are serving up by using the links down below! In a large skillet, cook beef over medium heat 6-8 minutes or until no longer pink, breaking into crumbles; drain. Transfer to a 6-qt. slow cooker. Repeat with sausage. Stir in remaining ingredients. Cook, covered, on low 4-5 hours or until heated through. If desired, top with shredded cheddar cheese, sour cream and/or chopped green onions when serving. Bacon sounds like a fantastic addition to chili! Yum! Chili is a must at any football party! Chili is always a welcome addition to a game day party and bacon....who can resist? I would love to try a chili made with hot Italian sausage! I need to up my chili with bacon! This chili is a winner! There's always room for another chili recipe! Sounds yummy! I love the addition of hot Italian sausage in this chili! Sounds delicious! I love the name too! Chili is my favorite on game day- I love all the beans you add in your recipe, and the bacon sounds wonderful! I like that you use turkey as well...great combo! I love the basil in this! It adds a little something extra! 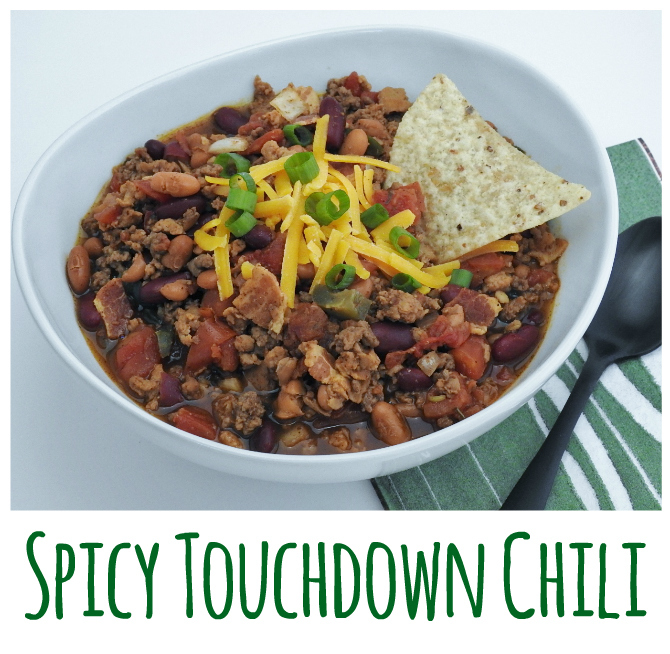 A big bowl of chili sounds great for game day!